The updated blog management tool offers handy improvements to the writing interface, and there’s a redesigned look for the content management system’s plugin and media library pages. Although not earth shattering, the tweaks look to be useful ones, with embedded videos and tweets in new posts automatically displaying in the “visual” compose window. Browsing photos in the media library is improved too, with the software serving up a full-screen grid design which makes seeking put images an easier task. Here’s a run down of the new features, as bigged up on the WordPress site. 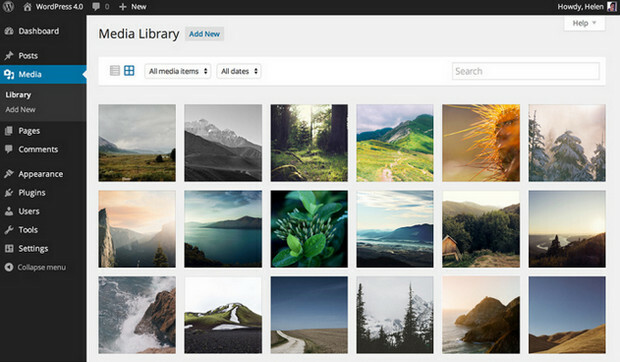 Manage your media with style: Explore your uploads in a beautiful, endless grid. A new details preview makes viewing and editing any amount of media in sequence a snap. Working with embeds has never been easier: Paste in a YouTube URL or a Twitter link on a new line, and watch it magically become an embedded video or a tweet. 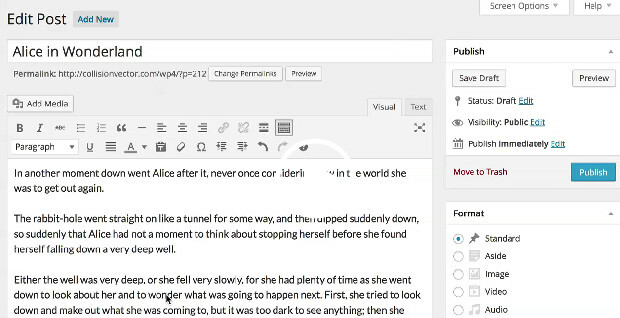 The editor shows a true preview of your embedded content, saving you time and giving you confidence. You can now also embed videos from CollegeHumor, playlists from YouTube, and talks from TED. Focus on your content: Writing and editing is smoother and more immersive with an editor that expands to fit your content as you write, and keeps the formatting tools available at all times. Finding the right plugin: There are more than 30,000 free and open source plugins in the WordPress plugin directory. WordPress 4.0 makes it easier to find the right one for your needs, with new metrics, improved search, and a more visual browsing experience. We’re betting bloggers will find the new embed previews particularly useful. The full list of WordPress’ supported embeds is here. WordPress 3.9 was released in April. Automattic continues to push onwards with its faster release schedule. We thought the company would take its sweet time with the 4.0 release, and yet not even half a year later, and we’ve got another new version.